The World Health Organization (WHO) has a Web site to help researchers, doctors and patients obtain information on clinical trials. Now you can search all such registers to identify clinical trial research around the world! Disclaimer: The Visible Embryo web site is provided for your general information only. The information contained on this site should not be treated as a substitute for medical, legal or other professional advice. Neither is The Visible Embryo responsible or liable for the contents of any websites of third parties which are listed on this site. Content protected under a Creative Commons License. No dirivative works may be made or used for commercial purposes. Australian researchers made a surprise discovery showing that, while programmed cell death - apoptosis - is essential for healthy development overall, many organs and tissues do not require apoptosis to develop normally. The study is published in the journal Cell. The new research also suggests abnormalities in cell death processes likely contribute to some common birth defects in humans, such as spina bifida, heart vessel defects and cleft palate. Programmed cell death, also known as apoptosis, is a normal process that rids the body of sick, damaged or unwanted cells in a controlled way, limiting side effects and damage to the body. It was first described as having a role in embryonic development in the 1940s. Over the past 70 years, numerous studies also implicated it as crucial role in most stages and tissues during development. However, in this new study, it became clear that apoptosis is not as critical to development as previously thought. According to Francine Ke PhD, from the Department of Medical Biology at The University of Melbourne,in Victoria, Australia: "Rather, apoptosis was essential at specific places and times during development, but unnecessary in others. We identified the tissues and organs that critically require apoptosis to develop normally, and made the surprise discovery that many do not require it at all. "Our research showed that when cell death is not functioning properly, it commonly leads to defects in neural tube development, for example spina bifida, heart vessel defects and facial abnormalities, such as cleft palate." Francine Ke PhD, The Walter and Eliza Hall Institute of Medical Research, and Department of Medical Biology, The University of Melbourne, Victoria, Australia. Associate Professor Anne K. Voss PhD, believed the biggest surprise came from the discovery of tissues that do not require apoptosis at all for normal development saying: "For some time, it has been a widely-held belief that programmed cell death is necessary for the shaping of certain tissues and structures during development. But, to our surprise, many tissues in which programmed cell death was - for very good reasons - considered absolutely essential - is not required at all. "For example, apoptosis was thought to play a particularly important role in 'hollowing out' body cavities and ducts in internal organs during development. However we show in the absence of apoptosis, most tissues and organs develop normally. It may surprise researchers just how precise and limited the effects of apoptosis are in embryonic development." Anne K. Voss PhD, Max Planck Institute of Immunobiology and Epigenetics, Baden-Wuerttemberg, Germany; and senior author. To determine the role of apoptosis in development, the team eliminated pro-death proteins BAK and BAX, and a similar protein BOK, whose function was unclear - until now. "In this paper we have solved the structure of BOK using the Australian Synchrotron, and once and for all confirmed that BOK is a pro-death proteins BAK and BAX, and a similar protein BOK, whose function was unclear until now." Angus Cowan, Postgraduate student, The Walter and Eliza Hall Institute of Medical Research, and Department of Medical Biology, The University of Melbourne, Victoria, Australia. Apoptotic cell death removes unwanted cells and is regulated by interactions between pro-survival and pro-apoptotic members of the BCL-2 protein family. The regulation of apoptosis is thought to be crucial for normal embryonic development. Accordingly, complete loss of pro-survival MCL-1 or BCL-XL (BCL2L1) causes embryonic lethality. However, it is not known whether minor reductions in pro-survival proteins could cause developmental abnormalities. We explored the rate-limiting roles of MCL-1 and BCL-XL in development and show that combined loss of single alleles of Mcl-1 and Bcl-x causes neonatal lethality. 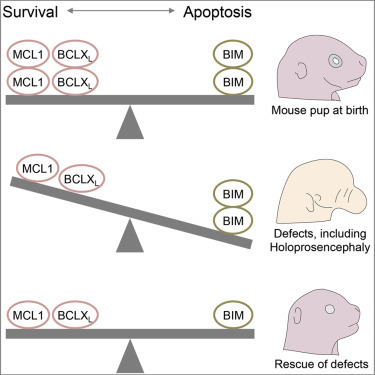 Mcl-1+/–;Bcl-x+/– mice display craniofacial anomalies, but additional loss of a single allele of pro-apoptotic Bim(Bcl2l11) restores normal development. These findings demonstrate that the control of cell survival during embryogenesis is finely balanced and suggest that some human craniofacial defects, for which causes are currently unknown, may be due to subtle imbalances between pro-survival and pro-apoptotic BCL-2 family members. Stephanie Grabow, Andrew J. Kueh, Francine Ke, Hannah K. Vanyai, Bilal N. Sheikh, Michael A. Dengler, William Chiang, Samantha Eccles, Ian M. Smyth, Lynelle K. Jones, Frederic J. de Sauvage, Mark Scott, Lachlan Whitehead and Anne K. Voss. The research was supported by the Australian National Health and Medical Research Council, Cancer Council Victoria, Lady Tata Memorial Trust, Leukaemia Foundation of Australia, Leukemia & Lymphoma Society (US) and the Victorian Government. Subtle changes in levels of BCL-2 proteins cause severe craniofacial abnormalities and are often associated with fetal or infant death, as well as with intellectual and/or physical disability. 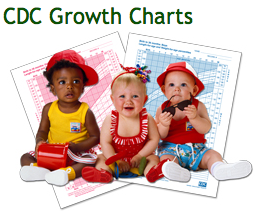 Image credit: Stephanie Grabow PhD.